most likely a mutant and not wild type. Wild type generally means the mother of some variant that is studied and not something found in the wild. But here I will focus on what is the archetypical E. coli and how wild they are. Theodor Escherich had no freezer so did not store his Bacterium coli. So there is no type-strain E. coli. For medical reasons, E. coli is a giant mess taxonomically (e.g. Shigella is a genus within the species) and there are very diverse wild strains out there. Lab strains occupy a small part of the actual E. coli tree. There are three to four strains lineages used in labs. Namely K-12, B, W and C depending on one's definition. Most strains are K-12 derivatives and a few are B strains. W and C are pretty rare and are actual wild to the point that W still has a 100kbp natural plasmid (pRK1) and a smaller one (pRK2). There are a few B strains, namely REL606 (Lenski's strain), most T7 polymerase strains, e.g. BL21(DE3), and a lot of ancient radiation battered strains. The B comes from the fact that Bacterium coli (then Bacillus coli) was distributed by Dr. Bordet in Brussels. BL21 can still break down arabinose and rhamnose ruining the chance of using them as inducers, so it is rather feral. 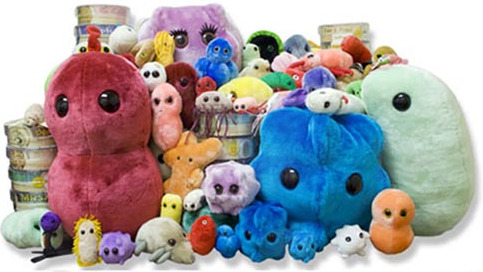 The wild type of K-12 is "Clifton's K-12", which he got from the stool of a patient in ward K bed 12 of his hospital —K-12 is not an antigen and actually K-12 has a frameshift in rfb which makes it lack an O-antigen. Clifton's K-12 is not for the lab as it still has λ phage, the fertility plasmid and three restriction systems (mcr, mrr, hsd). That means that using wild type E. coli would cause a phage contamination throughout the lab. The two main descendant of Clifton's K-12 are MG1655 and W3110. MG1655 was fully sequenced first (discussed more in another post), but it is not very competent. But it is nevertheless considered the main wild type strain of E. coli. As it is not really such a great strain, the Keio mother strain, a W3110 descendant, is often used as wild type in experiments... yet, luckily, it is far from wild. Cysteine racemase: an impossible enzyme?